KushKards was named "The Hallmark of Marijuana" by Herb.co and Merry Jane magazine—all because stoners love greeting cards, too! 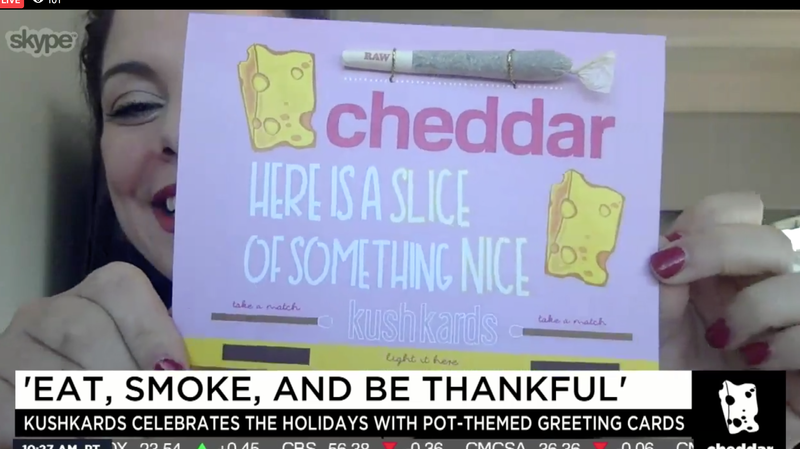 Typical greeting cards don’t offer “High Wishes” on birthdays, or an everyday card to “Just Say High,” or a sympathy card so together you can “Smoke About It.” KushKards merge the cannabis and gift giving communities in a truly unique and creative way. With more than 20 different types of occasions to celebrate, Kushkards makes it easy to choose the perfect greeting—we conveniently offer multi-card packs and curated packs of Kushkard bestsellers. The “high-dea” struck years ago when the need to gift cannabis was curiously devoid of innovation and the thought of travelling to the local pharmacy to flip through out-dated greeting cards was bore- ing. 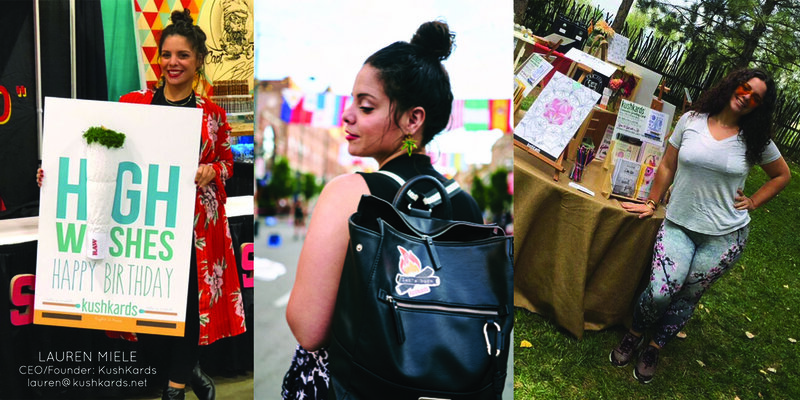 So Kushkards founder Lauren Miele began making the first Kushkards by rolling blunts and sewing them to paper in the form of initials, numbers, and ornaments to spell out festive greetings (See How We Started Tab). On Christmas 2013, the first ever Kushkard was born—and first sight made everything right. The journey of cannabis-themed greeting cards began! KushKards are the special treat for the special someone in your life. 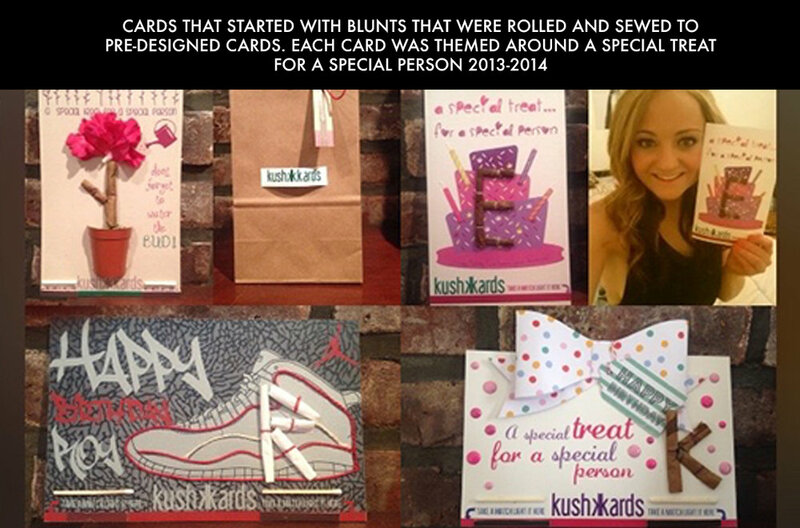 So, toke around the site and order your perfect Kushkard gift today.